This little pocket rocket isn't ready to hang up her showgirl heels just yet. 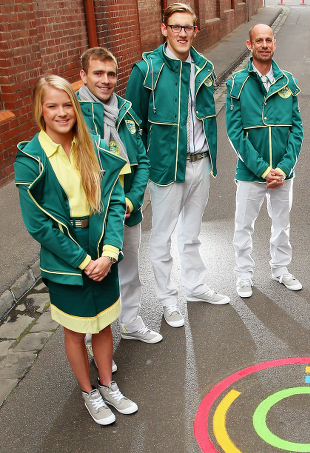 The Australian swimming uniform doesn't combine fashion and sport in the way we'd normally like. "This is why Olympians used to perform naked."